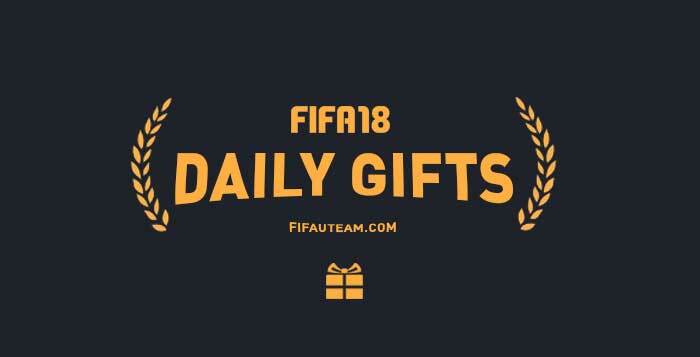 If you want to know all the details of the FIFA 18 Daily Gifts, you are in the right place. Get to know when they will be released, what you can get and what do you have to do. It is really easy to get a free daily gift. You just need to log in into your FUT Web App or Companion App account to get it. If you skip it, you will be able to find it in the FUT store, under the ‘My Packs’ tab. Obviously, you can only redeem your offer in one of the daily gifts seasons we have posted. Every day you do it, you get free coins or a free pack. If you forget to log in you lose the offer of that day. The daily gift expires everyday at midnight (UK time) and then it starts a new one. Smaller than a standard Bronze Pack, and going fast. A mix of 4 items, all bronze with at least one player. Smaller than a standard Silver Pack, and going fast. A mix of 4 items, all silver with at least one player. Smaller than a standard Gold Pack, and going fast. A mix of 4 items, all gold with at least one player. What you still want to know about FIFA 18 Daily Gifts? Q: How can I get FIFA 18 Daily Gifts? A: You will be required to login to the Companion or FIFA 18 Web App each day, click accept on your free gift and then it will be credited to your account. Q: Are daily gifts only available in the Companion and Web App? A: FIFA 17 Daily Gifts cannot be redeemed in the console. However, if it is a pack and if you already accepted your daily gift in the Web App or Companion App, then it will be listed under the ‘My Packs’ section of the FUT store and you will be able to login via your console to open it. Q: What happens if I do not login in the FUT Web App or Companion App? A: If you do not login, then you will forfeit your gift for that day. Q: Where the daily gifts are announced? A: Electronic Arts not always announce the daily gifts. You have two option to workaround this: open you Web App or Companion App; or visit this page that is always updated. 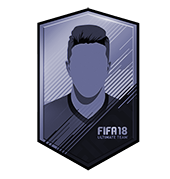 Q: When the FIFA 18 daily gifts are renewed? A: Everyday during the promotion period, at midnight (UK time). Q: What can I find in a daily gift? A: Coins, packs and tokens. Look above to a complete list of gifts available. Q: Why I can’t sell a card that I won in a pack? A: Probably because it is untradeable, which means it cannot be sold. Q: Why do EA release daily gifts? A: It is a way to rewards the players loyalty and also to keep the game live. I did not receive any gifts why? In fact, this year EA only offered daily gifts once, when the game was released. Hi. A friend of mine receves 2 days in a row 3 free packs in UTeam. WHY? 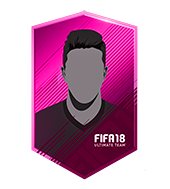 It was to compensate those who were supposed to receive Prime Icons on the last Throwback Thursday but received a normal player. Hi. It’s 15/12 .22pm Portugal and i didn’t receive my daily gift yet. Does daily gift exists to ps3? Hi Bruno. Daily Gifts for FUTMas were not confirmed and it looks that they will not be released for any platform. Rumo ao 37!